by marc / Tuesday, 04 September 2018 / Blog Category: Entertainment and Everything Vegas. Aerosmith recently announced they’ll be joining Lady Gaga in Las Vegas with a special residency for their 50th anniversary. This is a limited ground-breaking residency that will only last 18 shows over three months. Most of the shows for Lady Gaga residency in Las Vegas will take place in 2019 and beyond. However, she will officially launch her residency at Park Theater at the Park MGM resort Friday, Dec. 28. You’ll also be able to catch full shows on December 30 and 31. New Year’s Eve is one of the busiest times of the year in Las Vegas so make sure you have tickets in advance if you must see the show. There’s a unique twist to the Lady Gaga residency that you won’t see from any other resident performer on the Vegas Strip. Lady Gaga’s residency will feature two different shows. Lady Gaga ENIGMA will be a brand-new show featuring her pop hits. Lady Gaga JAZZ & PIANO will feature stripped-down versions of her hits as well as music from the Great American Songbook. The Jazz & Piano shows are extremely limited. Here are Lady Gaga Las Vegas Residency dates for 2019. Aerosmith is America’s all-time top-selling rock ‘n’ roll band. The band will perform their first Las Vegas Strip headlining residency in 2019. 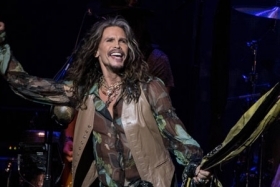 This unique residency at the Park Theater at Park MGM is called Aerosmith: Deuces Are Wild. The residency shows will be immersive thanks to state-of-the-art audio and video technology. Aerosmith has teamed up with THX and L-Acoustics for the residency at Park Theater. These companies will deliver the world’s first THX Certified live performance presented in L-ISA Immersive Hyperreal Sound. Aerosmith: Deuces Are Wild will feature never-seen-before visuals and audio from Aerosmith recording sessions. Grammy Award-winning producer Giles Martin, known for creating the soundscape for The Beatles Love by Cirque du Soleil, will create the unique residency show experience. Park MGM is the reimagined Monte Carlo. The casino has been under construction for the past two years. All work should be complete by the time Lady Gaga lands in Las Vegas. New venues inside the casino-resort are opening every few weeks. Visit ParkMGM.com for more information on the casino-resort and the two new residencies.